Well, you’re looking at one of the best-kept secrets in Galapagos: your own private yacht with a crew and guide dedicated to making a tour around the Galapagos the most unique and unforgettable vacation you’ve ever had! Each day you visit new islands, land at different spots, and see for yourselves the incredible wildlife and scenery of these Enchanted Isles. This is perfect for families, special occasions, groups, and incentives. 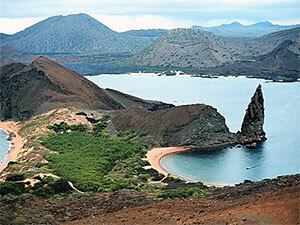 The reason that you charter a yacht in the Galapagos is to experience the islands and their unique flora and fauna. Therefore, we have designed the programs is such a way that they allow you to enjoy the Galapagos from different perspectives: guided hikes, relaxing beach walks, snorkeling and swimming! The islands are visited daily and the visits always involve a leisurely hike in a small group led by your own naturalist guide, allowing you to experience close encounters with nature. The yacht charters in the Galapagos are very limited. 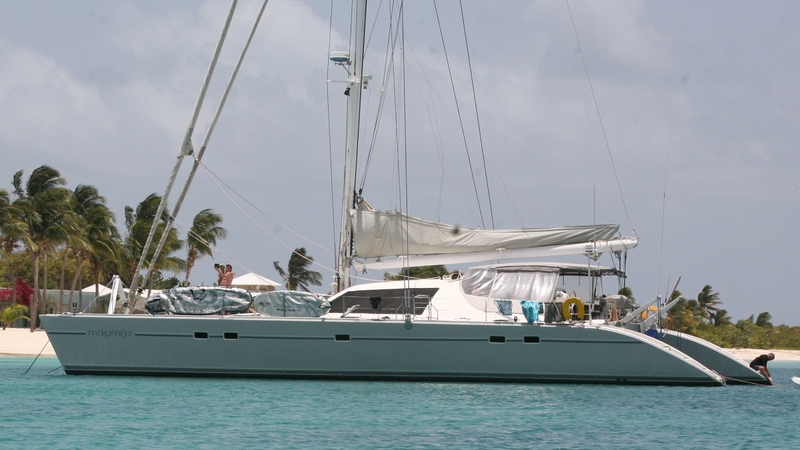 We can offer you a motor yacht or catamaran that are fit for groups for up to 20 passengers. It is necessary to make reservations with time in advance. 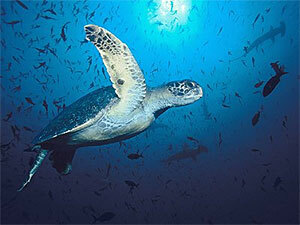 Cruises in the Galapagos will include a naturalist guide, fuel, food and the vessel water sports. Will not include liquor, park fees and air fare from Ecuador. 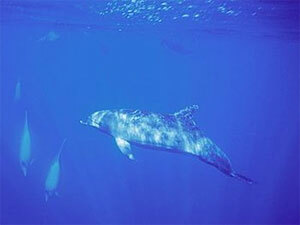 Every yacht have it own itinerary that can’t be change as is made for not disturb the species in the area. A tiny, steep-cliffed island packed with fascinating life. Sea lions, land iguanas and tropical birds thrive amidst vegetation that changes color with the seasons. A very good snorkeling and diving site. A quiet, secluded cove with a nice beach and good snorkeling. A great place to anchore and watch iguanas and lava lizards standing silent vigil while families of sea lions frolic in the soft, white sand. Noble palo santo and dramatic stands of opuntia cactus form the backdrop of this magic scene. The oldest settlement in the Galapagos Islands. 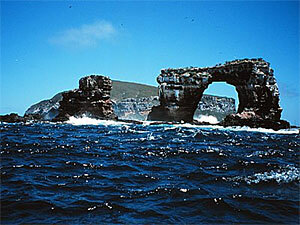 Important points to visit are Cerro Brujo – Kicker Rock – Punta “Pitti and “León Dormido”. Nearly all the species found on this island are visible at Punta Suarez, including tame mockingbirds, uncommon red – and green – trimmed marine iguanas, both blue footed and masked boobies, and albatross colonies. Hike to the blowhole and enjoy glitterring sand beaches. Known for Post Office Bay where 18th century whalers opened an unofficial post office in the form of a barrel. Home of the Charles Darwin Research Station, an academic and conservation institution where international scientists conduct biological research with the aims of learning about and preserving the Galapagos Islands. The station houses several giant tortoises at its protected highland reserve. These islands have spectacular scenery and sparkling sandy beaches. The rocky island’s red beach is frequented by sea lions, pelicans and boobies nest near the shoreline and a few hundred meter inland sits an awe-inspiring flamingo lagoon. 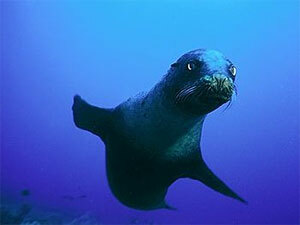 Nine species of finches have been reported here, and invertebrates, sea lions, manta rays are common sites. A small Islet located southeast of James Island. Fragile lava coats nearly the entire islet. The islets principal attractions are its many small lava tubes, its coraline beach, and its impressive array of fuana, including sea lions, penguins, marine iguanas, hawks, lava cactus. Jutting out of Sullivan Bay, Pinnacle Rock seems to watch you as you pass by… Bartolome has some of the best scenary in the islands. Moreover, Bartolome is perfect for snorkeling and diving and boasts an ancient crater, great for hiking, and lovely beaches. A great opportunity to view newly forged Volcanic landscapes composed of relatevely flat, black pahochoe lava, and dotted with pyroclastic cones. Also, see the tiny Mollugi plants that grow out of fissures, as they begin to colonize the arrid terrain. Life is everywhere you look. Red-pouched frigate birds (they display their red pouches as part of their unique mating ritual, blue-footed boobies and swallow-tail gulls are just a few of the many endemic birds that inhabit the island.